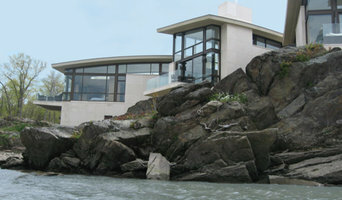 Dream Home Remodeling was created in an effort to innovate the construction industry. In an industry overwhelmed with bad reviews, we strive to bring the utmost in customer service to each and every client. Through efficiency, we bring custom work at a price point that is not achievable by our competition. Our dedicated designers, project managers, sub contractors, and employees make up our DREAM TEAM. We can overcome any obstacles, and achieve the highest quality finished product! New York Window Film Co., Inc.
American Frameless is a division of The Westport Glass Company which was established over 55 years ago. For the past 20 years, we started the "American Frameless Concept" for heavy glass shower and tub enclosures and for structural glass installations. Together with our clients, we create architectural glass interiors... from free floating glass rooms, bath and shower enclosures to artistic walls, partitions, railings and more. Whether the design calls for understated elegance, rustic charm, cutting-edge contemporary or somewhere in between... think of us for your structural glass applications... working with you to add value, beauty and comfort to your architectural space. We're proud to say that throughout our 55 years, we have treated our clients homes and offices as if they were our own... with personalized attention to the design, manufacturing and fabrication requirements... with courteous, neat and on-time installations... backed by our warranty and on-going maintenance support. We look forward to making your ideas in glass a reality! For over 30 years, ERI Building & Design, LLC has been working together with home owners to renovate and build some of Fairfield County's finest homes. No project is ever too big or too small for our design/build team. We provide our customers with a "one-stop" shopping experience that will take them from an idea to a finished product which they and their families will enjoy for years to come. Find out what ERI Building & Design can do for you. All Assembled is Bergen County and Northern New Jerseys Choice for local Professional, Fast and Reliable Furniture Assembly of products from IKEA, Crate & Barrel, West Elm, Wayfair - Professional Elfa Shelving Storage System Planning, Design and Installation and IKEA kitchen cabinetry assembly throughout Northern New Jersey including Bergen, Hudson, Passaic, Essex, Union, Morris Counties. Let us build your furniture and save you the trouble! We also offer planning, assembly and installation IKEA Office Furniture Solutions and other office furniture manufacture. Pricing is based on each particular furniture item. Please email your list of IKEA products from a shopping list created on IKEA.com/us or send us the individual 8 digit article numbers printed on the receipt, or from the actual sides of the boxes for a complete comprehensive quote. Email or Call us to discuss your project today! Popcorn Ceiling Solution offers an affordable architectural fabric system designed to cover your textured or popcorn ceiling without the pain of undergoing a stressful and time-consuming removal process. Save thousands on asbestos remediation with this revolutionary popcorn ceiling removal alternative! WE ARE COMMITTED TO DELIVERING MASSIVE VALUE TO OUR CUSTOMERS AND ARE LOOKING FORWARD TO WORKING WITH YOU ON YOUR NEXT PROJECT. Popcorn Ceiling Solution's technology uses wide-span fabric to cover old popcorn ceilings and offers a Lifetime Residential Warranty. Stretch Fabric Ceiling encapsulates asbestos paint and instantly levels your old ceiling creating a tight, smooth and seamless finish. Stretch Fabric Ceilings provide additional lighting options and graphic design capabilities. Watch an installation video on YouTube: <a rel="nofollow" target="_blank" href="https://www.youtube.com/watch?v=tDZLH8ET7zU&t=15s">https://www.youtube.com/watch?v=tDZLH8ET7zU&t=15s</a> Popcorn Ceiling Solution is a North American premier distributor of stretch fabric ceilings. Our ceilings are available only through the network of our installers. We have installers in all major US cities and constantly growing our network. Our homebase is in Carlstadt, NJ. From here, we service NY, NJ and parts of CT. Installers available in Florida, California, Texas, Colorado, New York, New Jersey. Installalling stretch fabric ceilings in the US since 2007. Manufacturer / Installer custom glass products. Here at Precision Shower Doors we only use CLARVISTA® glass, a shower glass product, was named one of the “101 Best Products of the Year” by Professional Builder magazine. Clarvista shower glass is proprietary, it seals the surface and makes it resistant to corrosion caused by heat, humidity, soap and chemicals in household cleaning products. As a result, with regular maintenance, Clarvista glass can maintain its showroom looks longer than competing shower glass products. Clarvista shower glass is available with conventional clear glass or STARPHIRE® ultra-clear glass by PPG. When combined with Starphire glass, Clarvista glass produces a highly transparent shower glass, making it ideal for upscale homes, resorts and commercial spas. The “101 Best Products of the Year” are selected by the editors of Professional Builder and Professional Remodeler magazines. Each year, they recognize building products featuring the most innovative new materials, finishes and systems geared toward the residential construction market in 16 product categories. 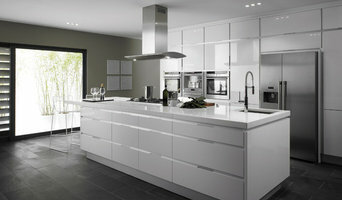 Clarvista glass was selected in the “Kitchen & Bath” category. 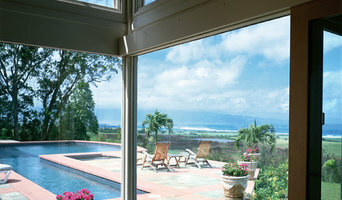 To learn more about Clarvista glass, visit www.ppgclarvista.com or call 1-888-PPG-GLAS (774-4527). We at The Finest Brownstone Wood Restoration are experts in the restoration of wood interior and exterior doors, mantels, windows, shutters, etc. We strip all surfaces to bare wood and make all necessary repairs to broken or missing wood details. In addition, we replace damaged or missing details to the original wood, then sand and stain all surfaces to restore the piece to its original luster. Even if your home's historic wood work has been restored in restored in the past several years, it still needs to be maintained to ensure lasting quality and beauty. We specialize in ensuring your home remains true to its original form for a lifetime through continued attention to detail and care. When you need a professional handyman to help you complete those home maintenance and home repair projects on your hubby-do list look no further than Hubby for Hire. From large remodels to small repair and maintenance projects, Hubby for Hire can do it all. If your project falls outside of Hubby’s area of expertise, don't worry, we are happy to refer you to someone within our large network of reliable resources to help you complete your task. For a more complete list or to discuss your projects in detail, contact us today! NJ Garage Design is New Jersey's garage enhancement specialist. We offer the finest floor epoxy coatings, cabinets and organizers in the industry. We produce a decorative, long lasting, durable finish. Using superior floor coatings, garage cabinets, overhead storage and wall organizer systems, we are not only able to organize your garage, but create an attractive inviting space in the process. What was once a dirty, disorganized mess can became one of the most functional and popular rooms in the house. After all the garage is the first room you see when you arrive home. It should reflect your sophisticated style. David Leiz Custom Woodworking, Inc.
David Leiz Custom Woodworking, Inc. is a quality and service oriented company established in 1975. 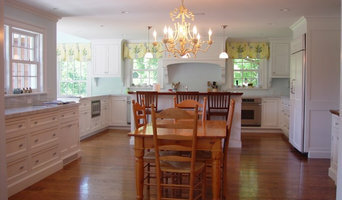 We specialize in fine custom made cabinetry individually crafted to meet your unique space and design needs. We will work directly with our clients to plan and design their built-ins or we will work with their architect or designer.We provide color matching to fit any existing finish and to match any decor. Our goal is to have a high standard of excellence in all that we do and to establish a lasting relationship of trust and service with each and every one of our clients. David is very proud of the fact that he has done work for many of his friends and neighbors and knows that you can only do that if you maintain a high level of professionalism. Architectural Grille is a full-service custom metal fabricator located within 60,000 square feet in Brooklyn, NY, specializing in custom heating and ventilation (HVAC) grilles, perforated metal and other design solutions. We design and fabricate high quality products in a limitless range of materials including paper, wood, glass, marble, corian, linoleum and metal, to suit the needs of a broad range of industries. By utilizing state of the art machinery incorporating CNC Punch, Laser and Waterjet technologies, we are able to offer extensive capabilities that include AutoCAD design, welding, bending, laser cut, powder coating and finishing, all of which can be applied to areas of construction and interior design, including decorative screening, logos and artwork. Architectural Grille is proud to be a member of the Green Council and support sustainability by offering recycled aluminum products. Architectural Grille now offers a line of anti-microbial powder coatings that inhibit the growth of bacteria, viruses, fungi and algae, and also prevent the development of odors, mildew and discoloration associated with these microorganisms. We are excited to be able to offer our customers a product line that provides high temperature stability, color retention as well as long-term protection, most importantly it addresses an increasingly significant issue in the marketplace - a healthy lifestyle. Architectural Grille is a family owned and operated corporation that has been in business for over sixty-five years. Our company has the ability to cut any pattern in any material with “pin-point” accuracy, allowing architects and designers the power to translate their ideas and creativity into reality. Whether you’re looking for a team of Halesite, NY professionals or a handyman for a small renovation, you’ll find dozens of professional profiles and contact information for specialty contractors here on Houzz. Here are some related professionals and vendors to complement the work of specialty contractors: General Contractors, Landscape Contractors, Architects & Building Designers, Interior Designers & Decorators, Kitchen & Bath Designers. Let’s say you want to install custom wood flooring in your dining room, and you’ve found a Halesite, NY company with excellent reviews. Next you’ll want to contact the company and make some inquiries. Find specialty contractors on Houzz. Look in the Professionals section of our website under Halesite, NY specialty contractors, then select the nearest metro area for a contractor. You can also look through New York photos of completed projects to see how a contractor might approach design challenges.